Taken early in the morning in December 2011 at NGR SS4931687920. 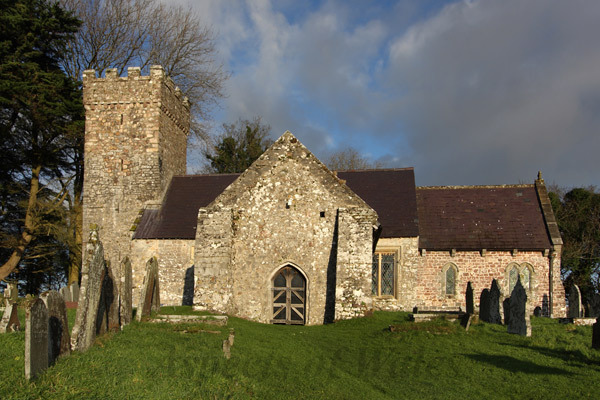 Penrice Church was built in the early 12th century and dedicated to St Andrew. Penrice is now a small village, but was once the principal village in Gower. Canon EOS 40D, Canon EF-S 10-22mm lens at 19mm, Manfrotto tripod. Exposure F11 at 1/60 and 1/80 secs combined. Original image in Raw format.